Charles “Chuck” Reed considers himself to be an ordinary man serving an EXTRAORDINARY GOD! He is the Founder & Lead Pastor of Rebuild Fellowship and recently served on the pastoral staff at The Summit Church in Durham, NC, specifically as the Discipleship Pastor at the Brier Creek Campus. After years of making wrong decisions, Pastor Chuck finally made the right/best decision of his life, by accepting GOD’s gift of salvation provided through HIS SON, JESUS CHRIST in March 2002. In April 2003, he would make another great decision and marry another one of GOD’s gifts to him, his wife Yolanda, bka his “Chocolate Sunshine.” Together, they are parents to 2 sons: Keijuane (23 - pronounced ‘Key-wahn’) and Zion (17) and grandparents to Keith (1). Yolanda is a native of Durham, NC and a successful entrepreneur of a child development center located in Durham as well. She is an evangelist with a prophetic anointing who loves to share The Good News of JESUS CHRIST whenever & wherever GOD provides an opportunity. Yolanda has accepted her mission to empower, encourage, & equip the body of CHRIST, especially women. She is passionate about seeing women walk in their divine purpose and use their gifts to help advance GOD’s Kingdom. 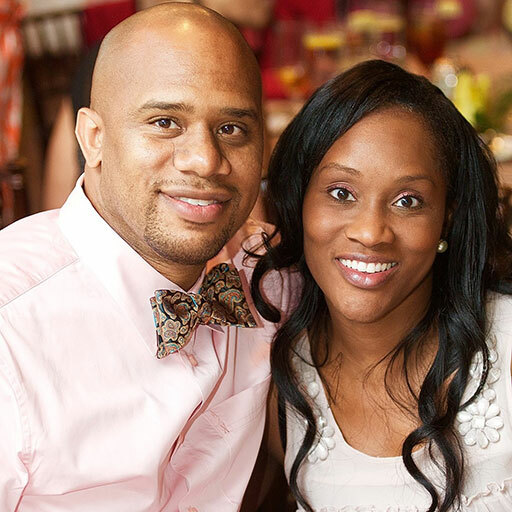 Both Pastor Chuck & Yolanda are graduates of North Carolina Central University with Bachelor’s Degrees in Business Administration & Early Childhood Development. Pastor Chuck has also received his Master’s Degree in Divinity from Southeastern Baptist Theological Seminary in Wake Forest, NC. The most important title that they wear is: “Servant.” This title & role is the one that gives life & strength to all of the other roles of their lives. They love to find helpful ways to love & serve people as CHRIST has loved & served them.